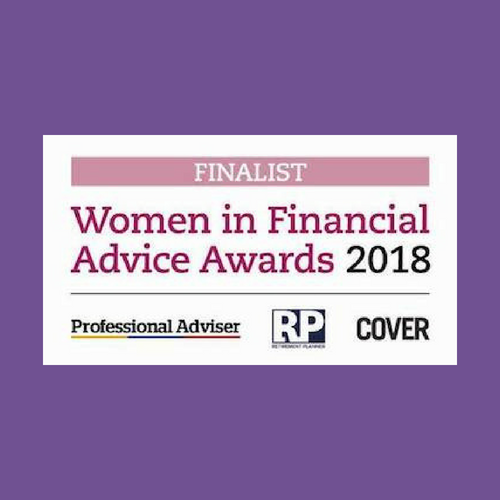 Last week we received some fantastic news; we have been shortlisted for Professional Adviser’s ‘Women in Financial Advice Awards’ – in fact, three members of the team have been shortlisted for 5 different awards! Cathi Harrison – our Founder & Owner – is a shortlisted finalist in three categories. Unsurprisingly, they are ‘Paraplanner of the Year’, ‘Most Inspiring Returner of the Year’ following her incredible comeback from maternity leave with a brand-new business idea (which we now know as our sister company, compliance business Apricity). And also, ‘Woman of the Year – Adviser Support Services’ for her overall contribution to the profession across both businesses. Natalie Bell, our Director of Culture & Engagement is a finalist in the ‘Rising Star’ category having been recognised for her cross-sector working. Despite joining financial services just a short 19-months ago following a career move working with the public sector, her wealth of knowledge and experience of successful engagement – namely change initiatives for the NHS and generational theory within youth employability, welfare to work and justice – has proved instrumental in our recent growth and repositioning. Jo Campbell, our Director of Operations & Quality has been shortlisted for the ‘Team Leader of the Year’ category. Despite already being an award-winning Paraplanner, in the last year Jo has been crucial in the planning and successful delivery of a new internal structure across our whole paraplanning team, as well the responsibility of her own individual ‘hub’. Having an all-female Strategic Leadership Team is rare in financial services. Very rare. And although, it wasn’t created by design, but rather by coincidence, it’s a uniqueness we’re proud of so, to be recognised for our efforts at a national level is amazing for us as a company. It is especially humbling that out of a whopping 800 applicants (!!) we were chosen for 5 separate awards.